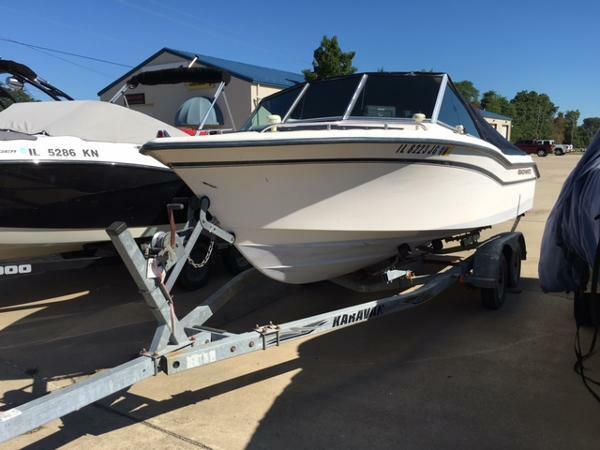 1990 Grady-White 204C Overnighter 1990 Grady White 204C Overnighter, 2006 Evinrude 200hp Saltwater Series, only 177hrs at last service May 2015. New Batteries 2016, Excellent condition. Depth FinderBimini Top, Camper Canvas and Full Boat CoverCox Galvanized Trailer, New Axles (2009), Bearings just repacked.Been in family since 1995. Winter stored in heated shop. Very clean Illinois fresh water boat. 1999 Grady-White Tournament 192 This 1999 Grady White is powered by a 200 HP Johnson 2 stroke engine. This Grady White is in fair overall condition with no major gel coat or fiberglass issues. The engine just had service completed this season that included new ECM(Computer) replaced on the engine prior to being traded in. This boat has a seating capacity of 8 and comes with a snap on cover! 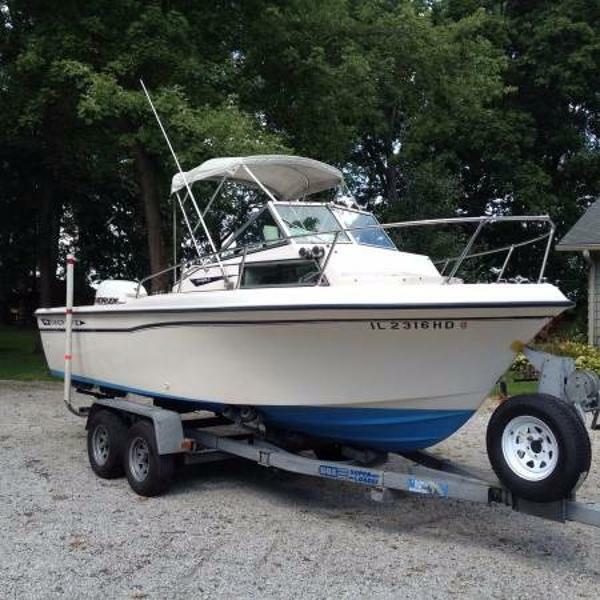 Priced with matching tandem axle Karavan trailer this boat is ready to hit the water!